This Valentia Island Hotel is has been in existence since the 18th century and has been recently refurbished and modernised. 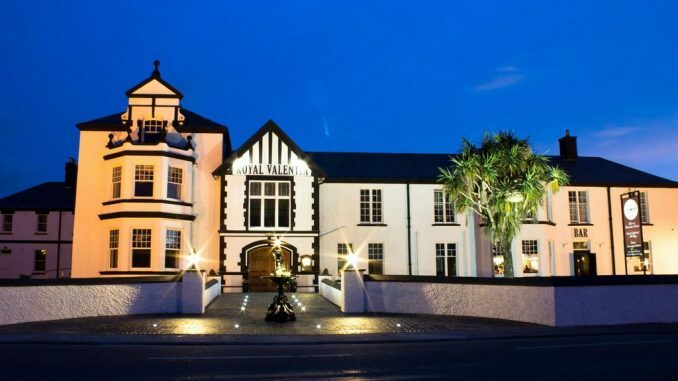 It has kept its classic style and has a touch of class about it. 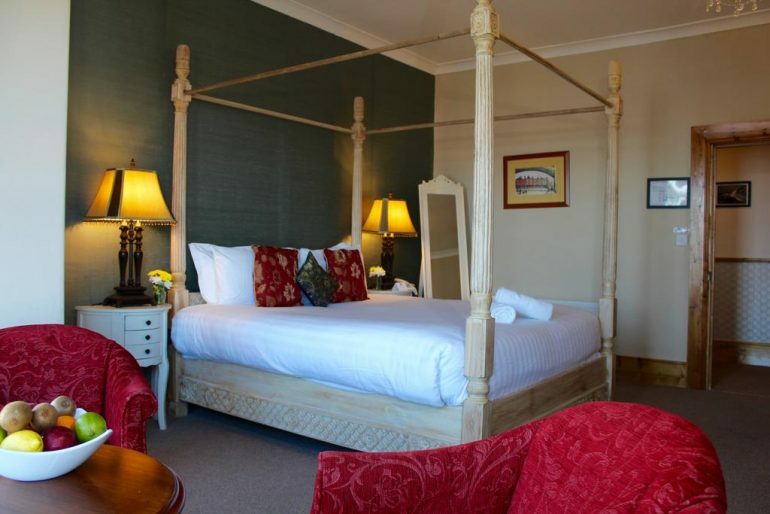 Not many hotels in Kerry have four poster beds but the Royal Hotel Valentia is one which does. Situated just beside the pier on the island this hotel has fine views of the ocean and there are regular boat trips tothe Skellig Islands available. 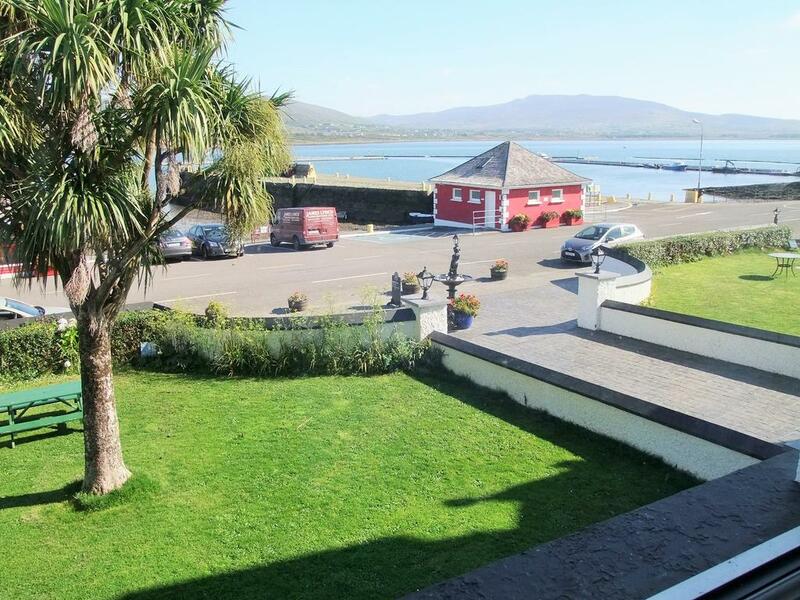 Access to Valentia Island is by bridge from Portmagee or by car ferry from Renard Point near Cahersiveen to Knightstown where this hotel is located. 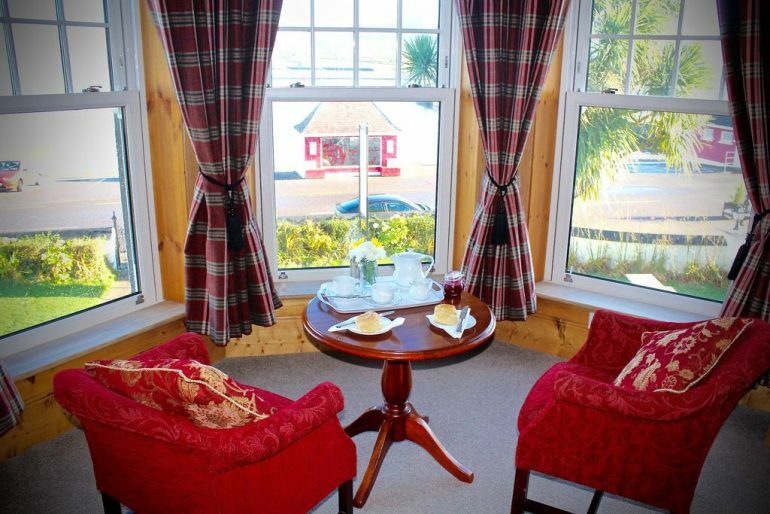 The 30 rooms at the Royal Hotel are classically decorated and most have great views of the island. All the rooms have tea/coffee making facilities and a television and most are ensuite. Room types include Standard Twin Room, Superior Twin Room, Superior Double Room, Superior Four Poster Room, Deluxe Double Room with Four Poster Bed and a Standard Family Room. 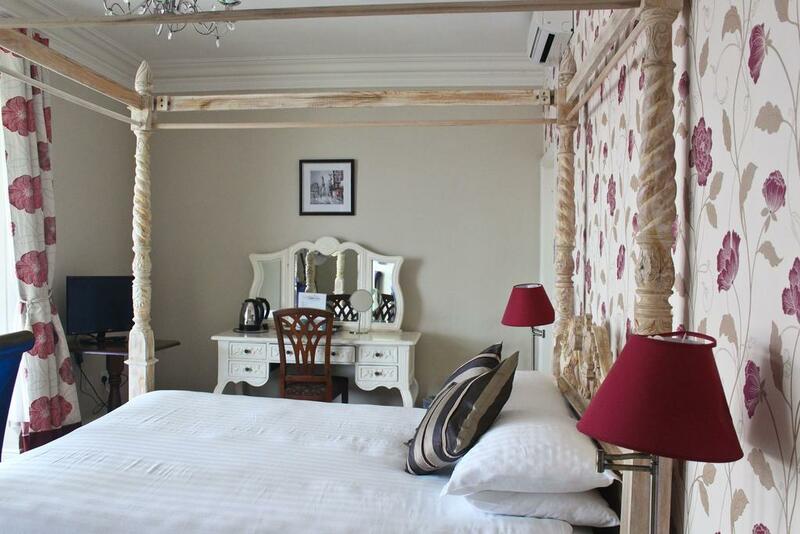 The family room has 2 single beds and a double bed. The restaurant is open for breakfast, lunch and dinner and there is a special carvery lunch on Sunday. There is a special kids menu and an Early Bird Menu is also available. 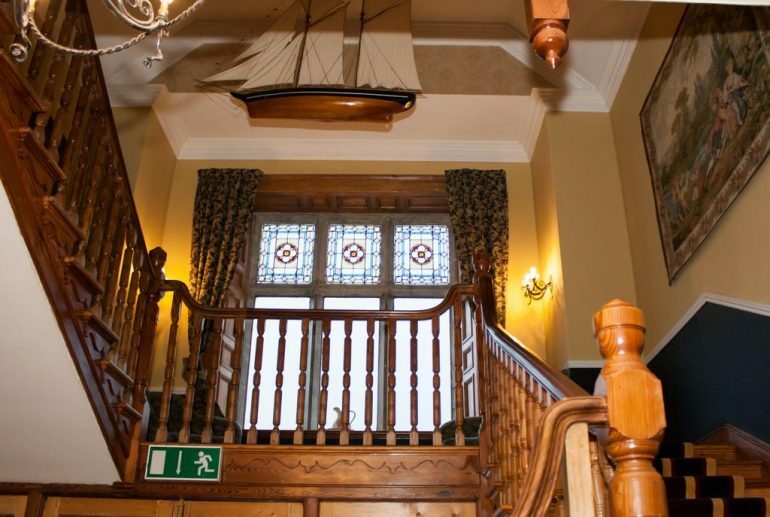 The main menu has lots of tasty fish dishes (fresh fish available locally), but there are also chicken, lamb, duck, steak and pasta dishes. 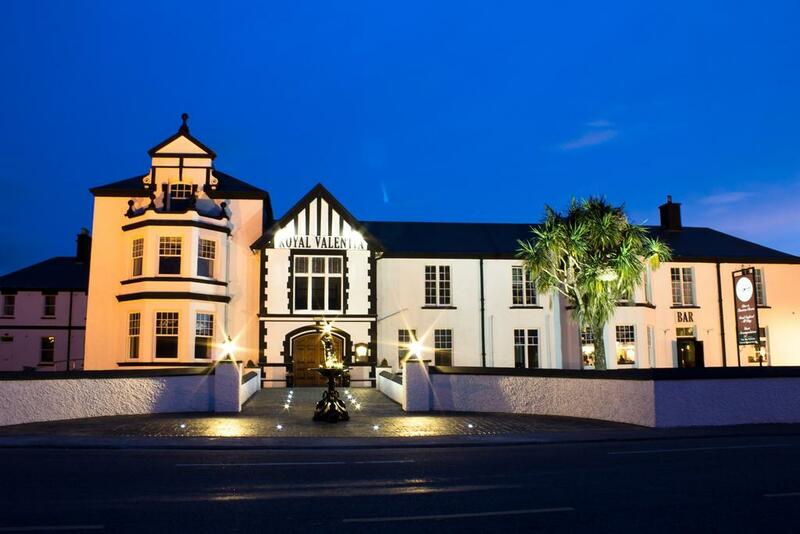 Click on the images for more views of the Royal Hotel Valentia.